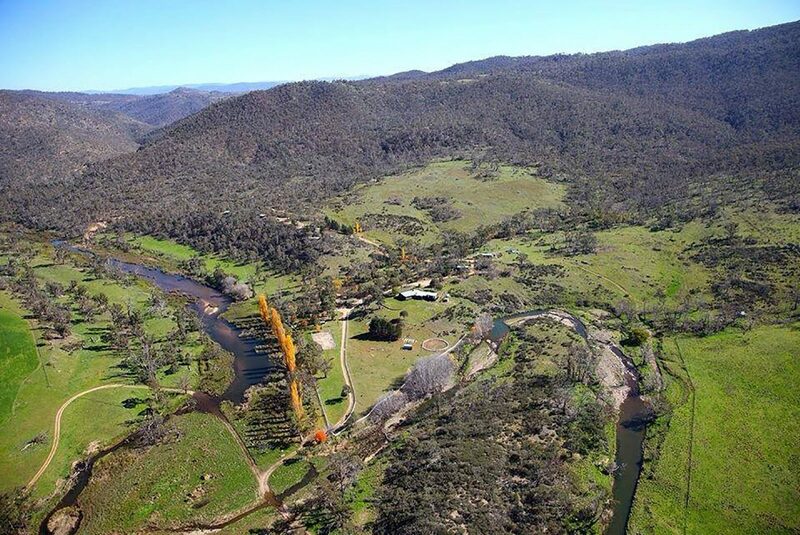 Only two hours from Canberra this 4WD access cabin & camping farmstay sits in the foothills of the Snowy Mountains and on the banks of the Snowy River. 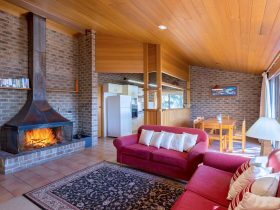 The property was named for its similarities to Lapland by the Finnish family who built the cabins in 1980 using traditional Finnish building methods from solid cedar logs. The guest sauna and laundry are also built in the same method. 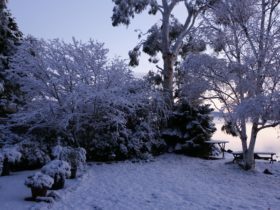 The traditional building methods certainly help when the temperatures hit -15 overnight in winter. 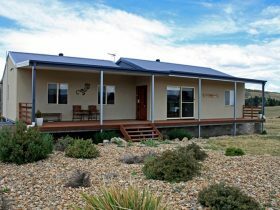 The property is around 45 minutes from both Cooma and Jindabyne, make sure you bring everything you need with you, and have plenty of fuel in your 4WD as there are no shops nearby! 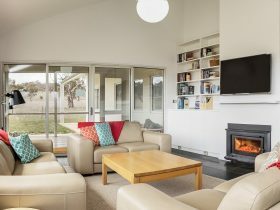 Cabins are self contained with their own kitchens and bathrooms. They are secluded and you cannot see another cabin from your cabin. The river is crystal clear, as is the night sky. Its quiet, so so quiet. The views, the bush and the river are all a photographers dream. See wildlife in abundance. Each standard cabin accommodates up to six persons with one double bed and two bunk beds. All cabins are heated. 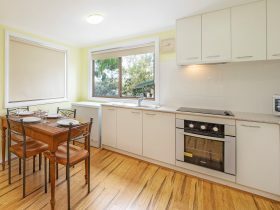 They have their own fully equipped kitchen, bathroom, dining area and veranda. 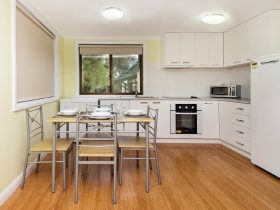 The river and complimentary laundry, sauna, and tennis court are just a short walk away for your convenience and they provide complimentary use of canoes (life jackets supplied). Linen (sheets, pillow slip and towels) are available for hire. They provide woollen blankets and down doonas to ensure you are warm at night. They have a limited number of portable cots and high chairs available. There is one large cabin which accommodates up to eight persons with one double bed and three bunk beds. All cabins are heated. They have their own fully equipped kitchen, bathroom, dining area, and veranda.